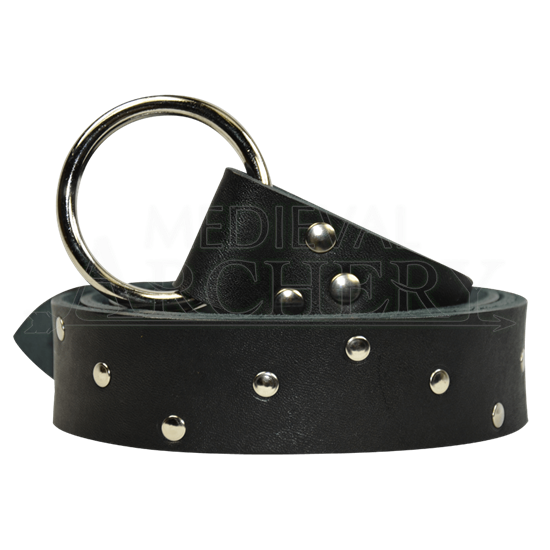 Our Zig Zag Studded Medieval Ring belt is perfect for any medieval or renaissance outfit. Made of 7/8 oz. sturdy belt leather, it is 1.5 inches wide and comes in two different lengths, 60 inches or 72 inches. It is available in black or brown. You also have your choice of silver (steel) or gold (brass) hardware.